What you doing for Memorial Day Weekend? For the most part I'm having a stay- cation in NYC. Ever since Vegas I've been on the constant go for the last few weeks, which has driven me to going loopy. I just need to stay put and CHILL. I've got a long list of what I want to do, and have just added this. What is that? 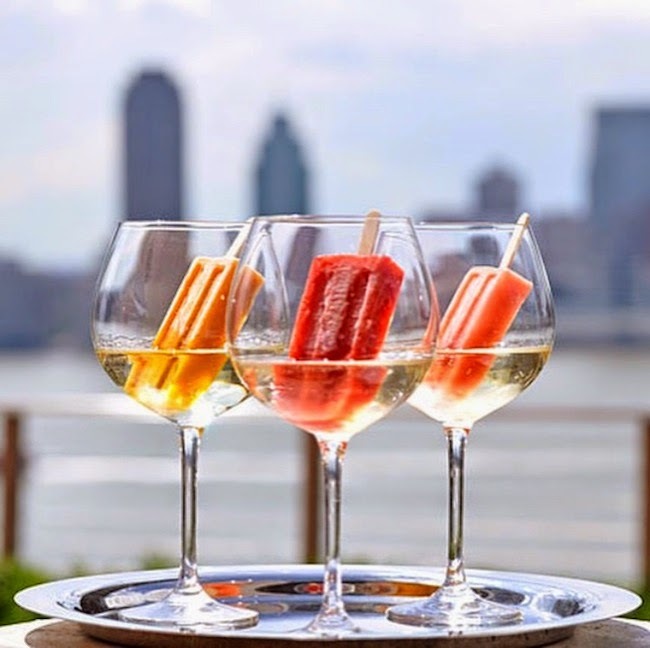 Prosecco ice pops. Liquor infused popsicles. YUM. It's been trending in my Instagram feed in the past few days, and I'm dying to hit this spot. If I don't get around to it this weekend, it for sure is a definite sometime this summer. Something cold to beat the heat, and a view on a roof top bar is a double win in this city! You should check it out too if your in the area.